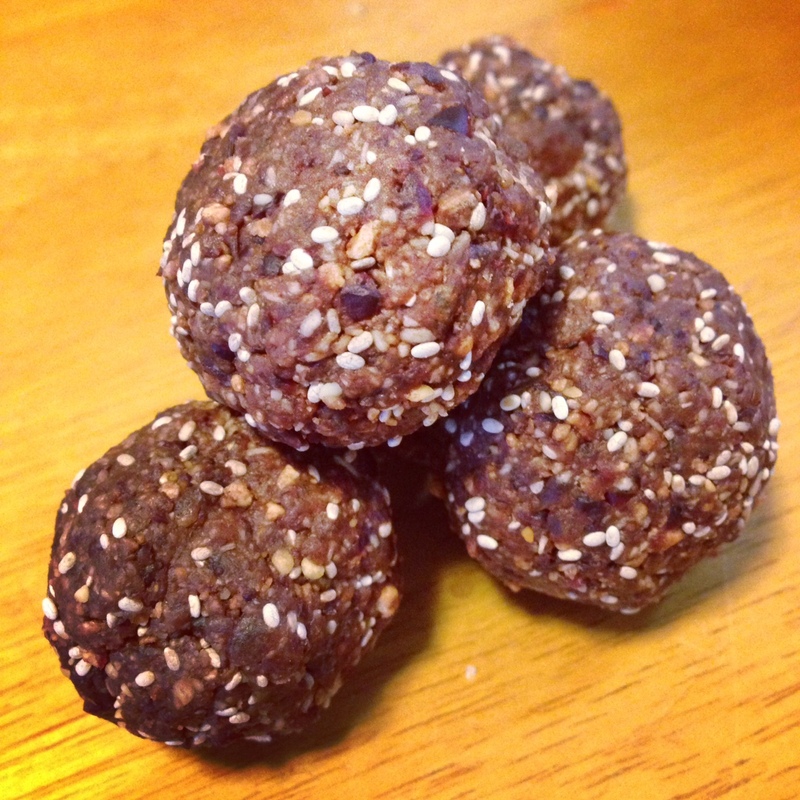 These bliss balls are my adaptation of the yummy Peanut Butter Balls developed by One Handed Cooks. My three-year-old son says they’re (del)’icious’! They pack a healthy-ish chocolate and berry hit. They also happen to be gluten-free and dairy-free (and I still love them!). 1. Whiz up the coconut, cranberries and dates in a food processor until the cranberries and dates have broken down into much smaller pieces. 3. Place the balls onto a tray or in a container (in a single layer) and refrigerate until firm. They will keep in a container in the fridge for 2-3 days, or you can pop them in the freezer (I pile them into a ziplock bag). To defrost, just remove the ball(s) from the bag and leave on the kitchen bench for 10-15 minutes.